It's not always easy to work in all five of our Gaming App of the Day game titles into the weekly gaming app round-up, but I'd like to think this week I was particularly inspired. Notice how I just strung a bunch of words together? So good. 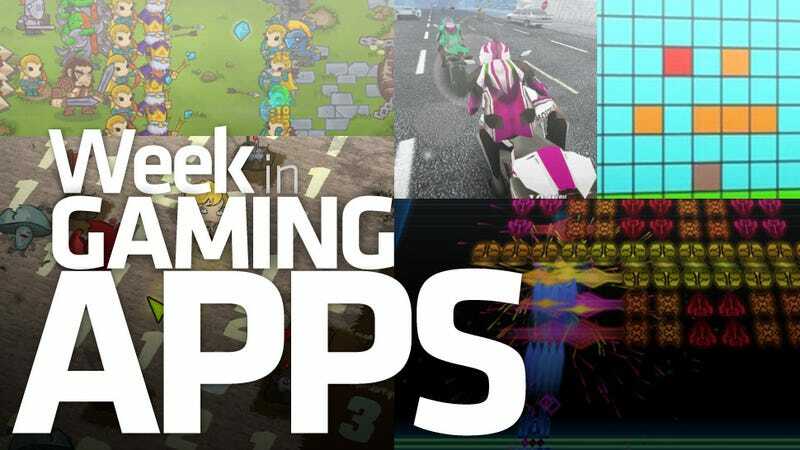 From large and colorful blocks to semi-realistic (looking) motorcycles, this week in gaming apps had it all, with the possible exception of the hundreds of thousands of other apps we bypassed in order to highlight these five. I managed to do two of them myself, one the Android-exclusive Little Empire; the other Super Crossfire HD, a game I used to break in my new-ish iPad 2. Yeah, don't get used to that. It also bears noting that this is the second week in a row we've featured a game with zombies in it. If we manage to do that three weeks in a row we summon Tony Todd and he kills us all. Fingers-crossed!